Join Nancy for a new Copic marker class featuring Muzzy, Amanda, Monica, and rest of the House Mouse crew from Stampendous. In this class, you will make two cards, with emphasis on basic Copic skills such as ink blending. There will also be a bonus card that you can make in class if time permits or take home to make at your convenience. Details are below. All necessary techniques are taught in class. Seats are limited, so sign up today! (*) NOTE: Nancy colored all of the mice in gray in order to reduce the number of markers required for class. 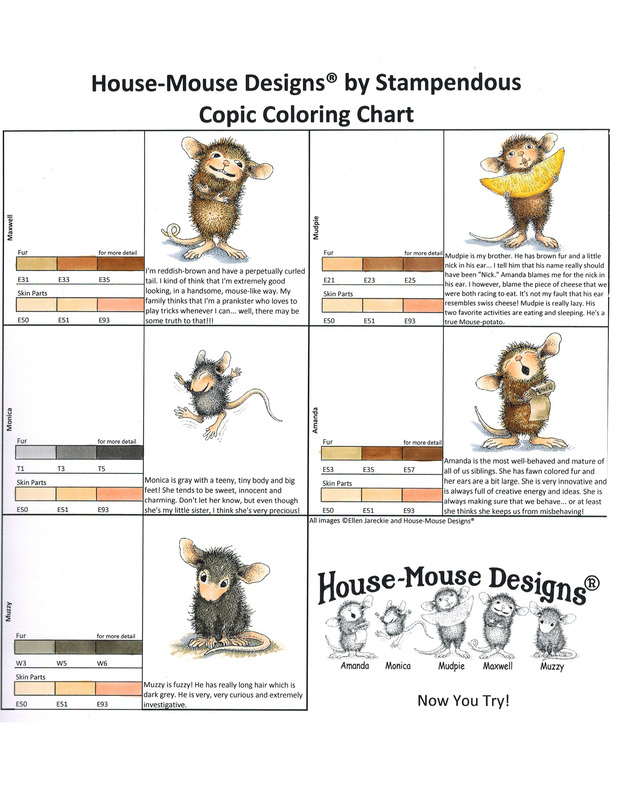 However, if you want to vary the color of your mice, see the House Mouse Designs by Stampendous Copic Coloring Chart for more color options.